Throughout the medieval period and up to the early modern (around 1100 – 1700) the City of London was home to and run by a Guild system, a form of governance based on various European counterparts. These were the official bodies of various different trades, crafts and practices, many of which can still be found hidden in the city today if you look closely enough. The guild system covered almost all parts of professional life, but I shall restrict this post to briefly look at the Worshipful Company of the Painter-Stainers. Not only is this an excellent example of an organised guild and apprenticeship system, but its inherent flaws bring up some interesting points when we turn our attention back to computer programming. Whilst our European counterparts often had dedicated painting guilds, the best London could offer throughout this period was the Painter Stainers guild. They derived from heraldic painters (painting arms on shields, saddles and stuff) and stainers, who quite literally stained cloth as a cheaper form of tapestry. The two were joined in the 1200, they acquired a hall in 1532 and 1581 were granted a royal charter. The painter-stainer guild was a million miles from the later training academies that developed in Europe. They were a reactive group and jealously guarded their membership rights. This was because being part of the guild was similar to a badge of honour and the company were often in conflict with the Royal College of Arms which employed heralds. 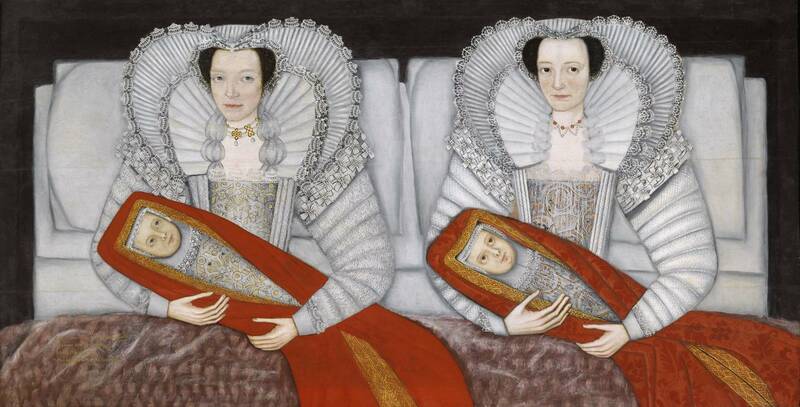 Of course, in the grander scheme of things, English early modern painting is not one that comes to mind when one considers fine art, why is this? As the subtleties of chiaroscuro and tromp d’oeil (painting in a realistic three dimensional manner) was being explored and expanded throughout Italy, English portraiture by contrast is incredibly flat, focusing more on heraldic style and decoration than realism. (see images) What mistakes did the painter stainers make that means their foreign neighbours created a more memorable legacy? There are of course many factors involved in this, country politics and religious practice being high among them, but there is also a lot to be said for the way in which new artists were trained. The guild was fairly backward in its approach to learning; it offered little training and did not help artists market or sell their work. Only members of the Painter Stainers guild were permitted to employ and train apprentices within the City of London, greatly limiting the trade. As a result, creativity was significantly stagnant in England. Whilst there is evidence of great workmanship dating from this period, there was little chance to build effectively on it through the traditional avenues. This gap created by a lack efficient training and obscurity was of course, soon filled. Members of the guilds were incredibly hostile to émigré artists (who were often more skilled) which caused great tension in the city. These artists would set up their workshops just outside the city limits, in Southwark and Greyfriars, allowing them to benefit from London patronage but avoid the laws of the Guild. England benefitted hugely from these émigré workshops, which injected new practices into the profession. The Painter Stainer guild is therefore a fantastic example of bad coding practice. Much like painting, coding is a craft. When those who code do it in secret, behind closed doors and allow only a privileged few to access an education in it, the result will be much like a typical English Early Modern portrait. Whilst the artist may have talent and potential, he is doomed to replicate the mistakes of his only tutor and the result is a flat piece of work which fails to compete with the wider market. So what does a successful apprentice system look like? Let us turn to one of the most famous of the Early Modern émigré artists, the workshop of Anthony Van Dyke. 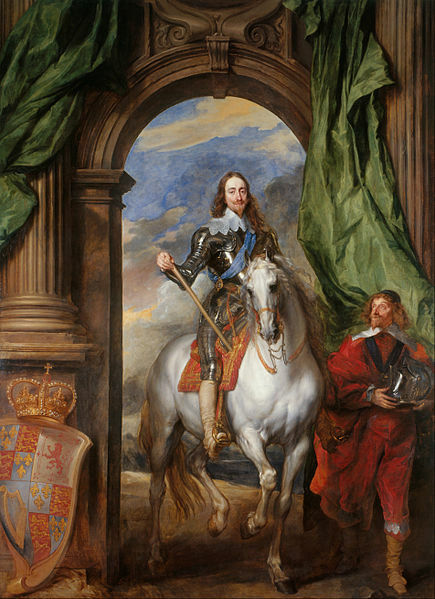 He was described by his tutor, the great Peter Paul Rubens (Google and go and visit the Banqueting House in Whitehall for more information on this guy) as one of his best pupils. Van Dyke did not only benefit from the workshop of Rubens, but toured all around Europe. He learned from many different painters and paid pilgrimage to the masters of the Renaissance and classical world in Greece and Italy. As such, Van Dyke was able to combine all his experience of the best practices of painting within his own and, without a regulatory body controlling him, was able to use this to expand rapidly within his own workshop. As an apprentice under Van Dyke your first role would be to prepare the painting materials; grind pigments, make brushes, prepare paper, stretch canvas. As you progressed you were slowly allowed more interaction with the painting. Apprentices would paint in certain colours, the background or the body. Often only the face and maybe the hands would actually be carried out the master himself. We know this by some of the contracts which survive, which outline the amount of work the master was required to do on the painting. As a result his workshop was the most successful seen in England up to that point. His style was incredibly successful and his new composition of equestrian portraits dynamically changed English portrait propaganda. It is common in paintings by Van Dyke to be wary of who actually painted the image, as more often than not it would be constructed by his workshop in a manner like his own. (This is why Art Historians use the term ‘The Workshop of…’ or ‘In the Style of…’ when the true painter is in question). So what can we draw back to the practice of learning to code? Both the Painter Stainers and Van Dyke employed apprentices which gradually trained young people to be masters themselves. However, it is only with the freedom to learn from others and implement a wide number of different practices that you can adapt a model to be successful, which is especially important when the market is a stagnant and two dimensional as the standard Early Modern portraiture scene. Success in this system can be found in transparency and sharing knowledge; learn, but not limit; teach but don’t stifle, and of course, be open and welcoming to new practices. And that is how a painter from the early Seventeenth can teach you how to be the next Mark Zuckerbuerg.